Today, with all the amazing technology and cool video games out there, we have few tools for kids that let them complete the scene or create the characters or invent the story themselves. 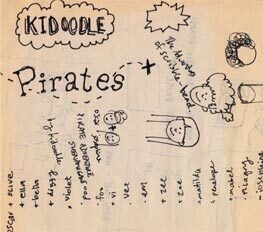 So with these thoughts, and some napkin sketches of Oscar and Josephine, Kidoodle Apps was born. Imagine if you could use technology to encourage your child’s creativity. Imagine that your child’s natural artistic ability and imagination can be fostered in new and engaging ways. We know that artistic skill is born with our children, and those that maintain it into adulthood are those that design our future. But fewer and fewer children get the opportunity to retain their artistic genius as they get older, become educated, and enter the world of adulthood. Kidoodle Apps creates applications for the new generation of touchable gadgets like the iPad, that engage your child’s imagination and help to exercise those creative skills in fun and magical ways! Please help us continue encouraging your child’s creativity by sharing us with your family and friends. so we can continue to design creative tools for your creative kids!